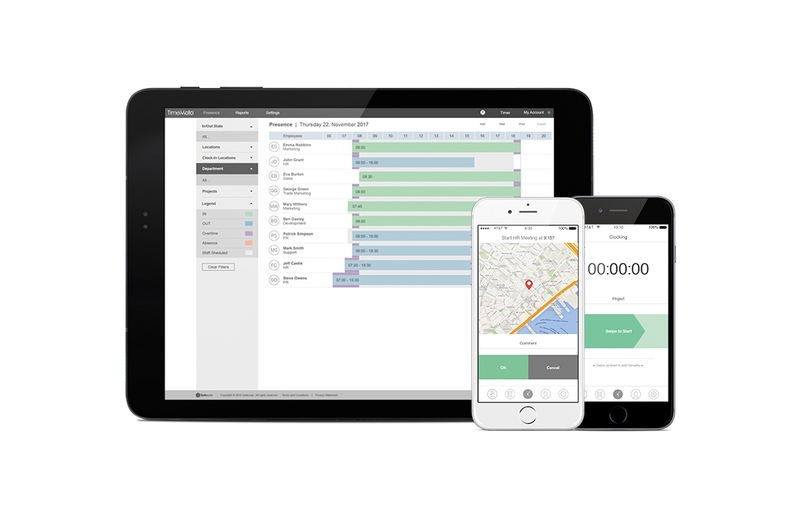 TimeMoto is the cloud-based motor that powers comprehensive attendance and scheduling system. Employees can clock in and out on any device, from any location. Advanced push technology updates all data in real time, so you instantly see who’s working where right now. 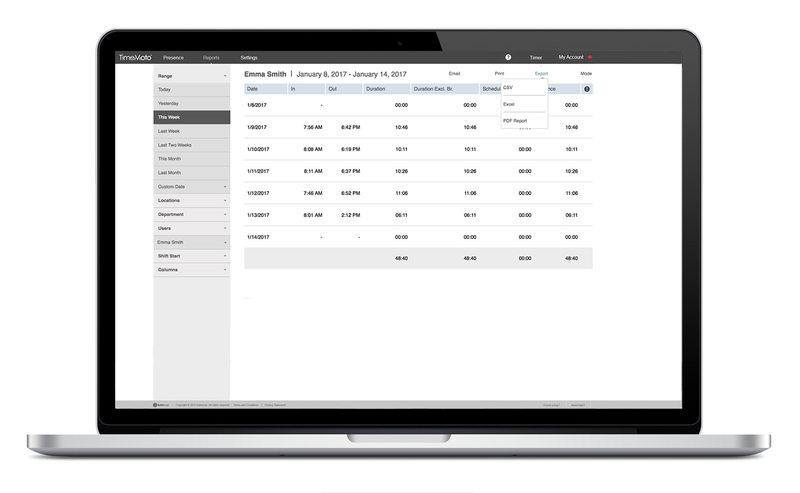 And because TimeMoto runs securely in the cloud, there’s nothing to set up: no servers, no software, just log in and go. Employee management has never been easier. TimeMoto Cloud subscriptions consist of licenses for all types of users. 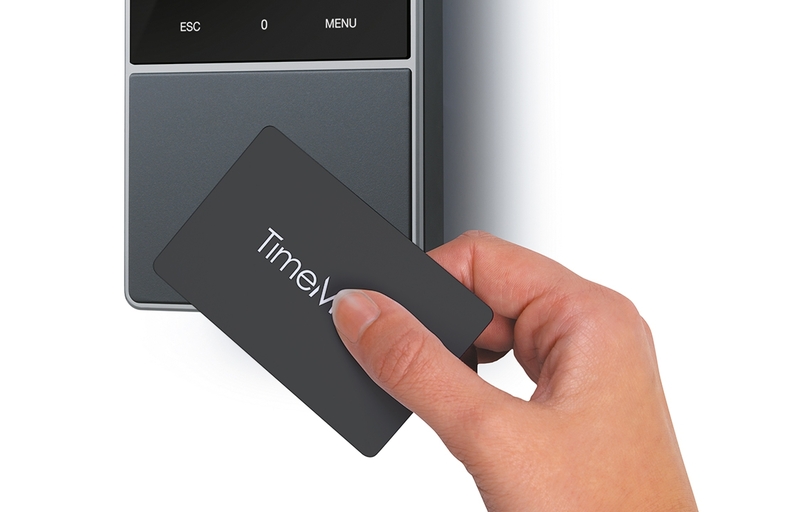 Employees that are always at the office can clock in and out on location using a TimeMoto time clock system. 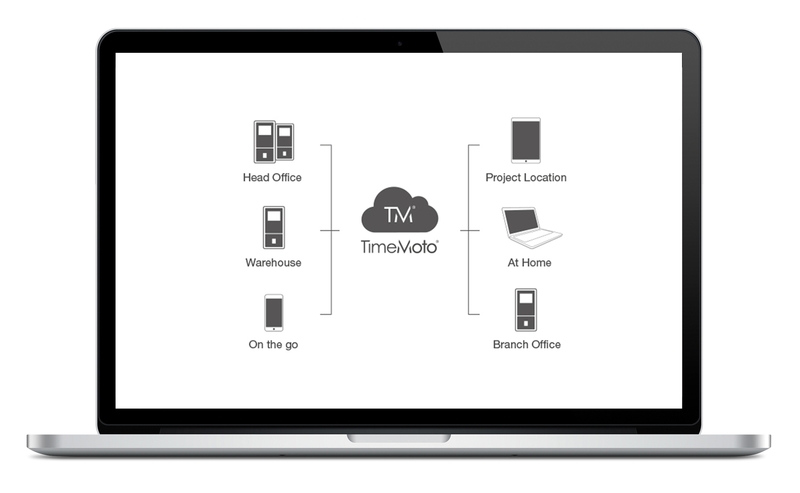 Using a TimeMoto time clock system, their time attendance data will automatically be uploaded to TimeMoto Cloud. On-the-go employees can clock in and out anywhere they need to by accessing the cloud on their laptop, tablet or smartphone. TimeMoto uses push technology to instantly update employees’ clocking data in the cloud. See who’s in and who’s out with up-to-the-minute accuracy. No matter where you are or what device you’re using, a browser and an Internet connection are all it takes to access and manage your employee's clocking data. 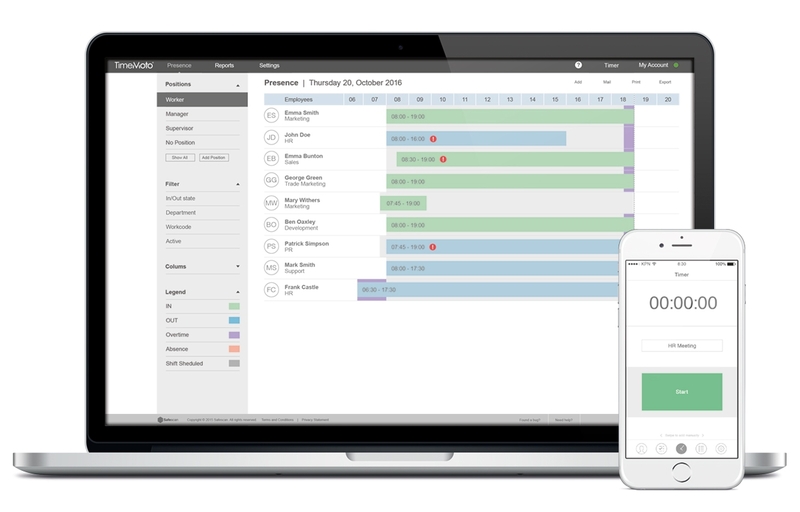 TimeMoto Cloud Plus allows you to create even more dynamic work schedules by managing vacations, holidays, sick leave and absences. 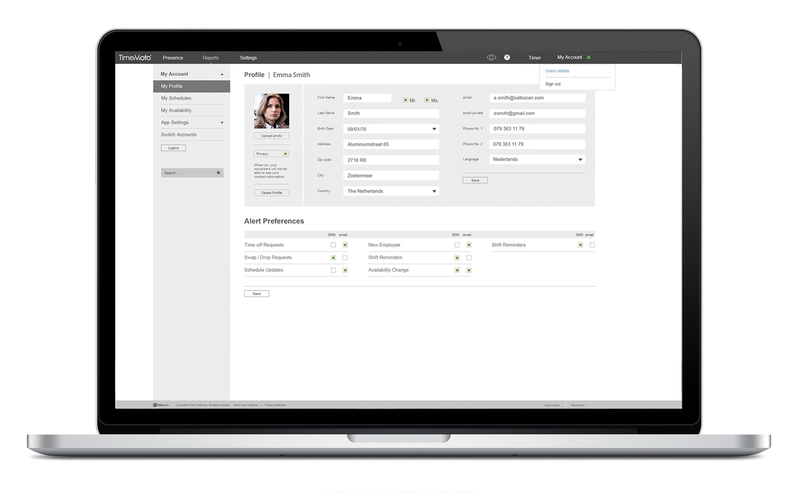 Easily define preset roles and shifts preferences for each employee. When somebody calls in sick, TimeMoto Cloud Plus will instantly show you who's available and qualified to cover their shift, and will notify the employees of the upcoming changes. Afterwards simply print or export the data to a program or payroll software of your choosing. Install time clock systems at all the entrances to your building, and TimeMoto Cloud will manage them all, showing you precisely who clocked in at which terminal. When an employee uses mobile clcoking, their timestamp and geolocation will be pushed to the cloud in real time. This way, you will know when and where your employees are when they are working outside of the office. 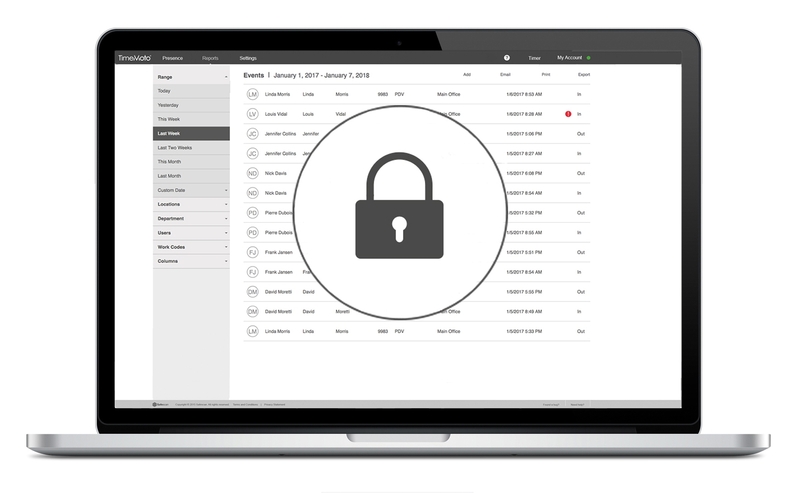 TimeMoto uses advanced security protocols to encrypt and store your data in our dedicated data centers. All information is encrypted before transfer and sent over a secure link. Our redundant storage protocol ensures you never lose data-not even if you lose your Internet connection. TimeMoto Cloud will store all new records on the local device until the connection is re-established. TimeMoto’s power, scalability and ease of use make it an excellent solution for every industry. From hotels to hospitals, restaurants to retail chains, construction sites to car manufacturers, TimeMoto can robustly and securely handle your company’s specific tracking, scheduling and reporting needs-whether you have ten employees or ten thousand.